Washington DC DUI laws set forth a similar plateau by which renders the illegality of driving within the capital, that is of a blood alcohol concentration of 0.8 percent. Washington DC DUI laws also possesses a "zero tolerance" policy when concerning drivers who are not yet of the age of 21. In specific terms, individuals not yet 21 years of age may not be in possession of any alcohol whatsoever within their systems while operating motor vehicles. This also includes drugs of any type as well. Such strict regulations placed upon those below the age of 21 may be due to the fact that they are not permitted to partake in alcoholic substances as set forth by the federal government to begin with. "Commercial" motor vehicle drivers adhere to the illegality of driving with a blood alcohol concentration level of .04 or more. This is due to the fact that such commercial drivers must often operate trucks that may incur even greater damage than that of other motorized vehicles. Washington DC DUI laws also set forth an "Implied Consent Law," that which is representative in various states. It states that all individuals operating motor vehicles within the District of Columbia automatically give forth their consent to partake in chemical tests for alcohol levels. The law enforcement authority must, however, possess "reasonable grounds" for employing such a test. A driver's refusal will result in license suspension for up to one full year. The institution of such a law is pertinent in order to guarantee that all individuals maintain their responsibility as drivers within the state. Washington DC DUI laws specify three offenses, two of which would be subsequent repeats. Following these, it is expected that consequences worsen even more so. For the first Washington DC DUI offense, jail time consists of a maximum of 90 days with fines ranging from $300 to $1,000. License suspension will also be incurred, lasting for 6 months. The second Washington DC DUI offense possesses jail time of a maximum of one year. License suspension will last up till a year. For the third Washington DC DUI offense, jail time mirrors that of the first repeat DUI offense. Fines will range from $2,000 to upwards of $10,000, with a license suspension of 2 years. 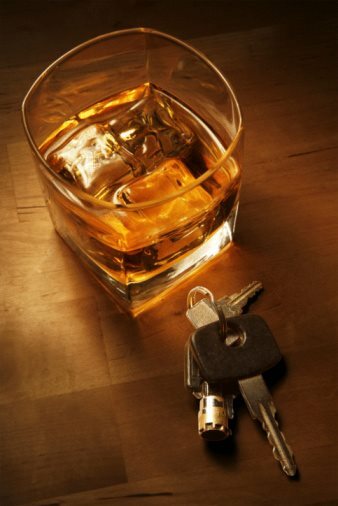 In any case, such situations of Washington DC DUI convictions may be prevented. You may, for instance, employ charts and calculators that may assist you in realizing what your blood alcohol concentration percentage may be at any given time. Aside from this, you may also make the choice to not engage in operation of a motor vehicle following any amount of drinking whatsoever. Equipped with the knowledge of Washington DC DUI laws, you will be prepared to make the decision when the time comes and you are faced with the choice of drinking and driving and otherwise. At such a time, consideration of DUI laws may be the difference between safety, conviction, and possible death.